A hairy humanoid, the Skunk Ape has been part of North American lore for many years with stories especially common in the southeastern states of Florida, North Carolina, and Arkansas. Reportedly sighted in many parts of North America – but particularly the South – the black or brown-haired Skunk Ape is thought to live in swamps. Similar to, but not the same as, Bigfoot, the Skunk Ape is said to frequent different areas than Bigfoot. It also has different physical characteristics and habits. In fact, these creatures seem to come in two, or perhaps three, varieties. This is partly because the stories have changed over time, but partly because cryptozoologists have different ideas about what constitutes a Skunk Ape. However, there is one characteristic that is universally agreed upon: the smell. This is seemingly unique to the Skunk Ape (hence the name, of course) and the odor is alleged to be so bad it is nauseating. In terms of appearance, the Skunk Ape is supposed to be large – similar in size to Bigfoot. The average height seems to be around 6 feet, but some reports mention creatures of up to 10 feet. The creatures are sometimes said to have large heads relative to their bodies. The heads are supposed to be more like a monster’s than an ape’s. Interestingly, the toes of the Skunk Ape are thought to vary in number, with three-toed prints often found. It is deemed unlikely that a primate could have evolved to have such a foot, posing some unanswered biological questions. The majority of the Skunk Apes are said to be bipedal, but they have allegedly been known to run on all fours on occasion. Skunk Apes are said to have certain paranormal features, including glowing eyes and bulletproof bodies. They are certainly classed as carnivorous, with numerous reports of them attacking and eating dogs and livestock. It is thought that humans are safe from their attentions. Some examples of famous Skunk Apes include the Honey Island Swamp Monster, the Fouke Monster, the Myakka Skunk Ape, the Holopaw Gorilla and the Abominable Swamp Slob. The earliest stories of Skunk Ape sightings come from the Native American Seminole tribes. They told these stories to the European explorers, who then reported their own encounters with the mercurial Skunk Ape. Actually, the early European explorers might have had a terrifying time with a Skunk Ape. According to accounts from the early 19th century, a violent meeting between a Skunk Ape and some settlers ended with much bloodshed – and the eventual killing of the beast. The survivors supposedly examined the creature’s body, finding it to be 13 feet long and weighing in excess of 1000 pounds. Unsurprisingly, the men were in a rush to leave the area in case they came under further attack, so they left the body behind. What happened to the body is unknown. The Skunk Ape known as the Fouke Beast is said to have terrorized a family in the Boggy Creek area in Fouke, Arkansas in the 1970s. The unfortunate family lived in fear of the creature and it even made off with some of their livestock. These events inspired the 1973 film The Legend of Boggy Creek. It is worth noting that reports of the Fouke Beast date back to 1932. There was a spate of sightings in 1974 in the Miami–Dade suburbs, and various other reports of the Skunk Ape date back to the 1960s. The Myakka Skunk Ape came to the media’s attention in 2000 when a number of photos surfaced of a large creature lurking in some bushes, prompting some experts to proclaim that it was a Skunk Ape. The story behind the photos involves a woman whose apples were being stolen. 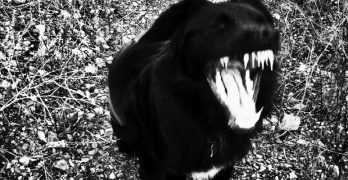 She had seen a strange animal near her house for a few nights, eventually managing to take a few snaps of the beast and sending them, anonymously, to the local sheriff’s office. The creature resembles an orangutan and, unfortunately, there is no sense of scale in the photos. The woman has not come forward to provide any further information. More recently, in 2013, Mike Falconer and his son took some video footage of what may be a Skunk Ape in Myakka River State Park in Sarasota County. miaminewtimes.com, “Skunk Ape Sighting Reported in Florida”, accessed October 06 2017. 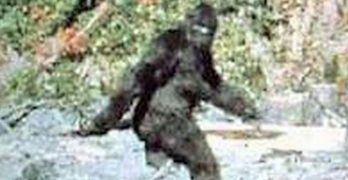 James Wray updated Skunk Ape on 14 Dec , 2017.